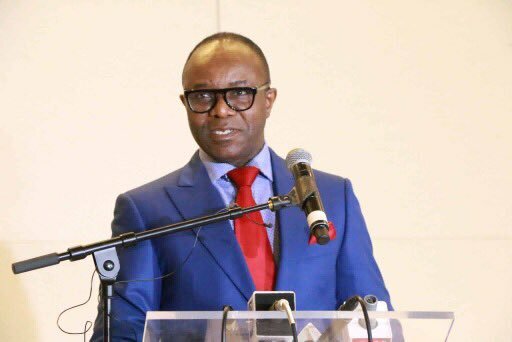 The Minister of State for Petroleum, Dr Ibe Kachikwu, says oil exploration in the North East is for the good of the nation. He said this during “Overview of 2018 Budget Proposal” on Tuesday in Abuja. He added that “we have an obligation as a nation to continue to ensure that we follow through any part of the country with visible sign of oil at all. “This does not stop the fact that massive exploration activities will continue in oil producing areas. He, however, said his philosophy was that it should not be only the Nigerian National Petroleum Corporation (NNPC) that should explore oil in the North East. He said the Federal Government was trying to encourage the private sector to use resources to explore oil by coming up with policies and incentives that would open up the frontiers for them to operate. Also at the event, the Minister of Finance, Mrs Kemi Adeosun, said the nation needed to re-invent the culture of tax payment. for benefits for tax paid before doing so was over. According to her, only 14 million people pay tax out of the 69 million working population in Nigeria. She said the figure indicated that most of the tax payers were civil servants and other formal sector workers, while the high net individuals do not pay taxes or do not pay the right amount of tax. Adeosun said that the Federal Government would in 2018, ensure that the rest of the working populace that had not been captured would be captured on the nation’s tax database. She also said that the Federal Government had not approved tax holidays for any company operating in the country, adding that companies were only given tax credits. The budget, tagged “Budget of Consolidation’’, which was presented to the joint session of the National Assembly by President Muhammadu Buhari on Nov. 7 is expected to reinforce and build on recent accomplishments of the government. Its key parameters include a crude oil benchmark price of 45 dollars per barrel, oil production estimate of 2.3 million barrels per day and exchange rate of N305 per dollar. The budget also has projected oil revenue of N2.442 trillion and non-oil projection of N4.165 trillion.